For this project, Williams Construction converted an existing refining building to a state of the art lubrication research facility. All activities for this project were coordinated with the client through 10 phases, to ensure the research building could remain occupied and functioning throughout the entire project. 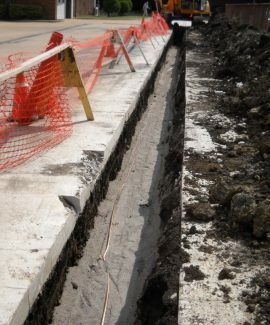 The Williams Construction Team retrofitted the building to accept the HVAC upgrade by demolishing the existing air handler and structural steel platform to allow for the new piers to be drilled and structural steel platform to be installed with the proper underground plumbing, grounding and chemical drains. Then, the team installed exterior and interior finishes within offices and research labs including installation of: metal stud framing, sheetrock walls, laboratory casework, exhaust fan system with associated fume hoods and canopies, labs and offices.